Generational icon finds love and contentment. Can he stil touch the masses while singing to the missus? 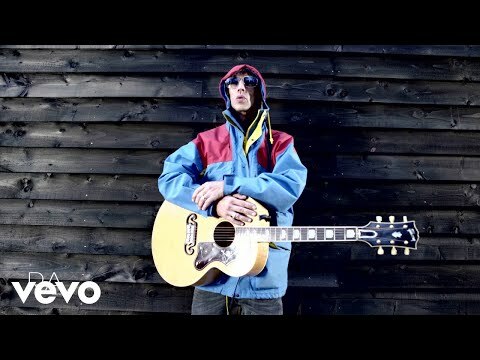 RICHARD ASHCROFT is The Saviour. The Blake-quoting, barefoot poet who kept the faith in the redemptive power of head music. He had to reform The Verve, when he knew it wouldn't last, because they had unfinished business. So came the boiling intensity of Urban Hymns, it's liberational overtures and desperate depths. And then Richard Ashcrofts work with The Verve was done. 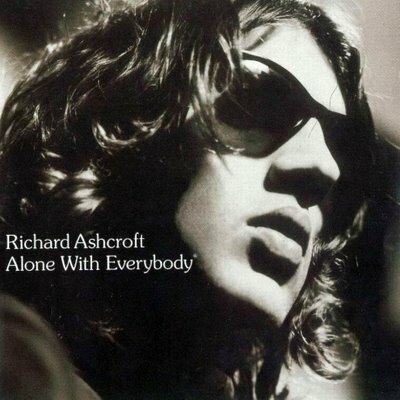 Alone with Everybody is Ashcroft in love. 'A Song For The Lovers' with it's head-up gallop, and it's cover featuring a self-portrait of Ashcroft and Kate Radley from the days when their relationship was still illicit (a song for lovers, see? ), was only the start. There's the follow up single, 'Money To Burn': 'You're my one angel, you're my one sweet saviour, you're my one adventure, you're my one and only...' Emotion, devotion, empathy, a gospel choir - it's all there in the guileness hosanna to his wife. As if to prove the point, the song tumbles to a close, an ecstasy of sawing guitars, parping horns, harmonica, strings and falsetto vocals. It's a joy to behold. take the Celtic low road. At it's best it's a Wildwood - era Weller, at it's worse it's a bit...soft. It's all that ecstasy that becomes the problem. Where 'I Get My Beat' starts as a lovely pastoral meander, it's ends up in a frenzy of violins, cello, trumpet and multi-tracked voices. 'New York' tries to hard to echo the blaring late night excitement the city it badly eulogises. 'Brave New World' is a decent stab at 'Lucky Man' - type electric/acoustic epic-ness, but is marred by its easy (read : lazy) ryhming ('table/stable/able'). It might seem churlish to begrudge a man some contentment - particularly when it makes for a song as restrainedly heartfelt as the 'Rhinestone Cowboy' - alike 'You On My Mind (In My Sleep)', or as embracing as the closing 'Everybody'. But given the power he found in the shadows he tapped into when looking for a way out of the murk (of drugs, amongst other things), it's hard to have to lose him to the light. Love and peace have replaced restlessness and mystery. So, disciples: piss off. He's not the messiah. He's just a very happy boy.